/ Headed to Shop.org? This guide will help you avoid the inevitable e-commerce FOMO. From mobile-based loyalty programs to biometrics to beacons, there’s a seemingly never-ending parade of new e-commerce technology. While this is a parade that retail marketers definitely want to watch (shoot, we’d probably camp out for a front-row seat), it can be hard to separate the tech you need from the tech you feel like you should have because everyone else does. This Fear of Missing Out — aka FOMO — is real. And for e-commerce marketers, FOMO will likely reach a fever pitch at next week’s Shop.org Digital Summit in Dallas. Fortunately, we’ve got some tools to help you out. First, download our new guide, Fighting e-commerce FOMO: How to make the most of the tech You have, and be smart about what to invest in next. The guide outlines how you can navigate the e-commerce tech explosion and develop a thoughtful approach to technology that rises above the fray — and keeps your FOMO under control. 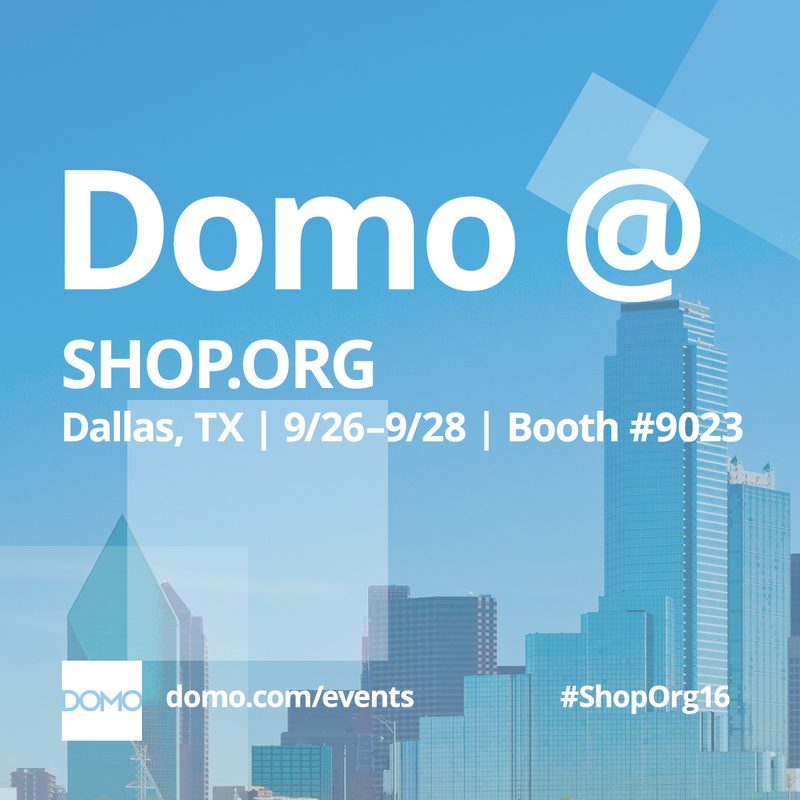 Then if you’re at the conference, stop by the Domo booth #9023. You can learn more about how our business optimization software brings all your data together, directs you toward info that may be missing and ultimately provides insights when you need them most. With Domo, you can quickly find the answers you need to deliver experiences your customers will love.